our God-given rights and the very reason this great country was founded. Here is a fine opportunity to stand behind the man. Let’s speak our concerns, get honest answers, encourage one another, share truths and become the voice of the embodiment of America. Join the forum to let the constituency of Rand Paul know how you feel. Enjoy the site. Get to know the man. Together we can help take our government back. Dr. Rand Paul is first and foremost a loyal, honest red blooded American. 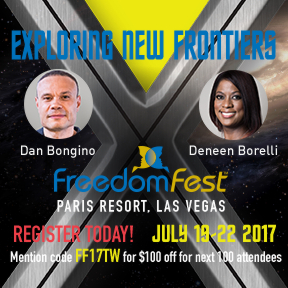 He is the son of former Republican Congressman and presidential candidate for the Libertarian party Ron Paul of Texas. Rand is an ophthalmologist in Kentucky who founded in the Southern Kentucky Lions Eye Clinic in 1995 which provides eye exams and surgery to people of lower income. Due to desire to improve the lives of citizens has entered politics and currently serves as a United States Junior Senator for the state of Kentucky. Rand is a supporter of the Tea Party movement and is an advocate of restricting federal spending and taxation. He is a supporter of small government, term limits, civil liberties, as well as safety and security for the American people. More willing to share his honest opinion than forming Republican alliances, Rand takes a stand on all issues that he feels are poorly represented. He is a politician that wants to serve his country instead of the heaps of people seeking primarily to climb the political ladder. Senator Rand Paul, M.D. has been married for 20 years to the former Kelley Ashby, originally from Russellville, Kentucky. As of this writing in 2013, Rand and Kelley have three sons: William, 19; Duncan, 16; and Robert, 13. The family lives in Bowling Green, where Rand owned his own ophthalmology practice and performed eye surgery for 18 years. Rand grew up in Lake Jackson, Texas, the third of five children born to Carol and Ron Paul. He attended Baylor University, graduated Duke Medical School in 1988, then completed a general surgery internship at Georgia Baptist Medical Center in Atlanta and residency in ophthalmology at Duke University Medical Center. 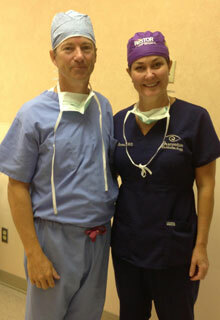 Upon completion of his training in 1993, Rand and Kelley moved to Bowling Green to start their family and begin his ophthalmology practice. A large part of Rand’s daily work is dedicated to preserving the vision of our seniors. In 2002, The Twilight Wish Foundation recognized Rand for Outstanding Service and Commitment to Seniors. 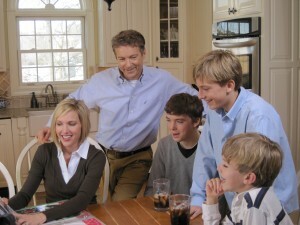 Rand is a devoted husband and father. He regularly volunteers to coach teams for each of his three sons in Little League baseball, soccer, and basketball. Rand and Kelley have been members of The Presbyterian Church since 1993, where Kelley currently serves as a Deacon. Rand is a hard-working, dedicated physician, not a career politician. His entrance into politics is indicative of his life’s work: a desire to diagnose problems and provide practical solutions. He pledges to work every day in the U.S. Senate at reforming government and ending business as usual here in our nation’s capital.